Andrea Thalasinos's debut novel is an inspiring story of how a single act of kindness can transform your life. Rosalie MacKenzie is headed nowhere until she sees Smokey, a Siberian husky suffering from neglect. Rosalie finds the courage to rescue the dog, and united by the bond of love that forms between them they save each other. Soon Rosalie and Smokey are immersed in the world of competitive dogsled racing. Days are filled with training runs, the stark beauty of rural Wisconsin, and the whoosh of runners on snow. Rosalie discovers that behind the modern sport lies a tragic history: the heartbreaking story of the Chukchi people of Siberia. When Stalin's Red Army displaced the Chukchi in 1929, many were killed and others lost their homes and their beloved Guardians the huskies that were the soul and livelihood of their people. 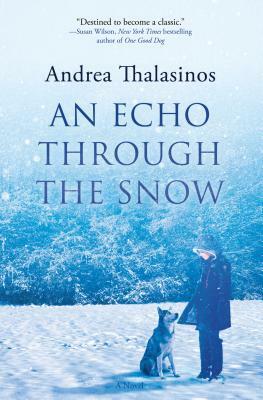 Alternating between past and present, telling of a struggling Chukchi family and a young woman discovering herself, "An Echo Through the Snow" takes readers on a gripping, profound, and uplifting dogsled ride to the Iditarod and beyond, on a journey of survival and healing. ANDREA THALASINOS, Ph.D., is a professor of sociology at Madison College. Her respect for huskies grew while she was running her own sled team of six dogs. She helped found a dog rescue group in the upper Midwest for displaced northern breeds. Andrea lives and writes in Madison, Wisconsin. An Echo Through the Snow is her first novel.